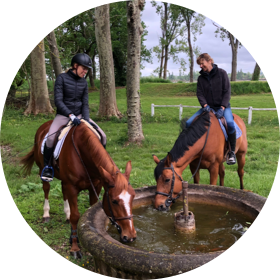 Virginie and her team and family have been developing courses at Château Bacon for fifteen years, based on total immersion, a unique opportunity to experience life in a competition stable. Château Bacon stables, ranked as one of the best stud farms in France, offers confidence-building techniques to promote a harmonious relationship between Man and the Horse. 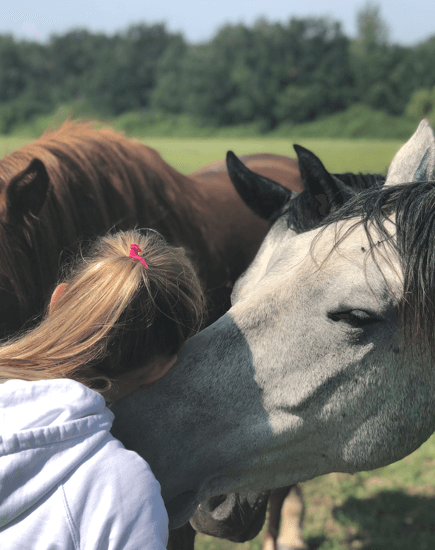 come and enjoy indulging your passion for horses to the full! Tuition on getting into the saddle, dressage, jumping, liberty work and vaulting. Price on request. For more information please contact us by email. Confidence in yourself and in the animal are fundamental to your relationship with your horse. This is the basis of self-assurance and the pleasure of riding. 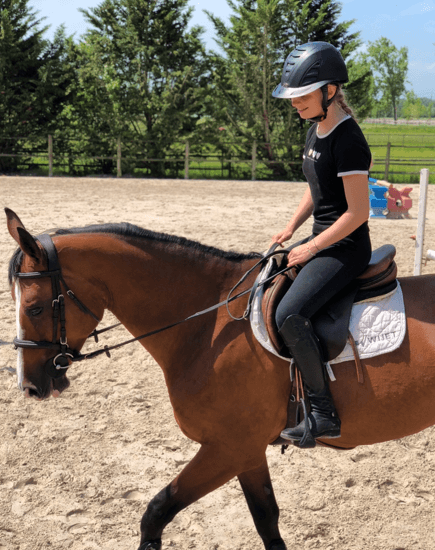 The introductory training courses and those to build your confidence will enable you to work on yourself, really listen to your horse, understand their reactions and therefore make progress together. 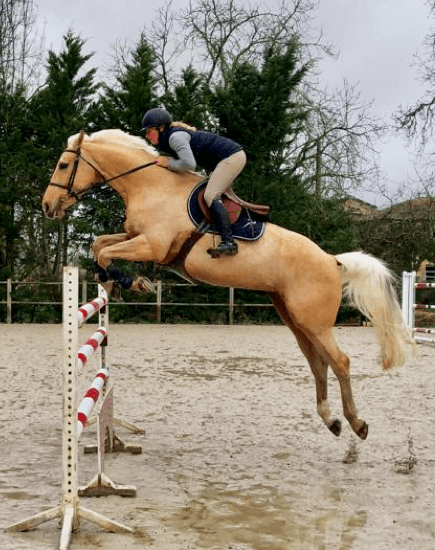 Improve your sporting sensations, enhance the rider-horse relationship, learn about your areas for improvement and test your skills by practising jumping or on the flat.